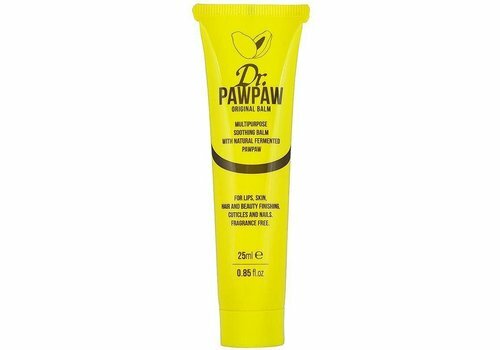 Buy Dr. Paw Paw Lipbalms online at Boozyshop, the makeup webshop! Dr. Paw Paw was founded in 2011 by Johnny and Pauline Paterson. They had the idea to introduce the first pawpaw balm in the UK. In 2013 the first PawPaw balm was introduced. This original balm provides relief for dry and irritated skin and moisturises the lips, nails, cuticles and dry and cracked skin. In addition, it can also be used for the finishing of your hair, eyebrows and as a finishing touch of your make-up look. In 2014 the first tinted balm was brought onto the market. This formula has a pink finish. Ideal for use on the lips, cheeks and other finishes. 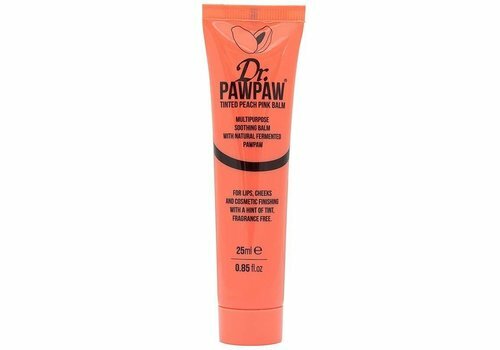 Dr. PawPaw Tinted Peach Pink adapts well to your skin. The color can be built for a striking look. Shortly after, the Tinted Ultimate Red was introduced. This balm is moisturizing and perfect as a finishing touch for your lips or cheeks. The balm can be applied richly for a subtle color or built up for intense red lips. In 2011, Dr. Paw Paw bigger and better, because the Original Balm was now offered in a larger package. This can be perfectly used by the whole family. In 2016, the Dr. PawPaw It Does It All 7in1 on the market. This is the first hair product of the brand. This is a 7-in-1 hair treatment, developed to save time, space and money. The hair is protected against the heat of for example a style or curling iron, while it makes your hair smoother and shiny and reduces split hair ends and hair damage. We offer quality products at Boozyshop at a competitive price. We also have a wide range of make-up products. So you can be sure that you find exactly what you are looking for. There are also several advantages when you order from us. Is the order amount above 30 euros? Then we send a nice gift with the order. So take a look at our webshop. Do not wait any longer and order here today at Boozyshop.